Again while we were at the Musee du Louvre in the 1st Arrondissement of Paris, we took these high definition photos showing a bas relief called Amour, which was sculpted by Antoine Denis Chaudet. This first HD photo shows a bas relief sculpture located on the Aile Lemercier of the former Palais du Louvre called Amour, which in English translates to Love, and as you can see, this is an allegorical figure of Cupid who was the Roman God of Love and Desire, always depicted with a bow and arrow. Now this sculpture, or low relief of Amour was produced in stone and put in place in 1806, after Napoleon Bonaparte ordered that this wing of the Louvre be adorned with numerous embellishments to coincide with a wing called the Aile Lescot, and different arts were chosen for the task. 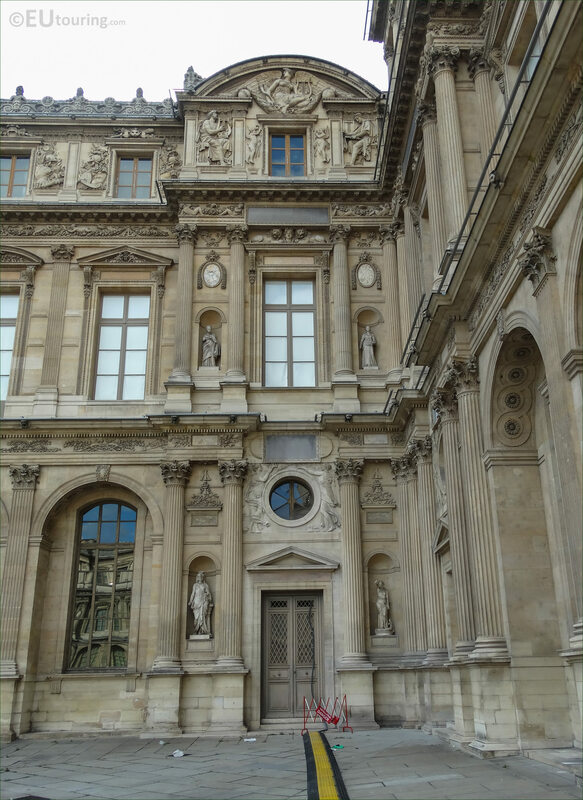 So all of the sculptural decorations for this part of the facade that you can see in this photograph were produced by Antoine Denis Chaudet who was born in Paris in 1763 and studying at the Ecole des Beau Arts, he won the Prix de Rome. When Antoine Denis Chaudet returned from furthering his studies in Italy, he received many public commissions, and also became a professor at the school where he once studied, yet unfortunately he had a short career as he died in 1810. 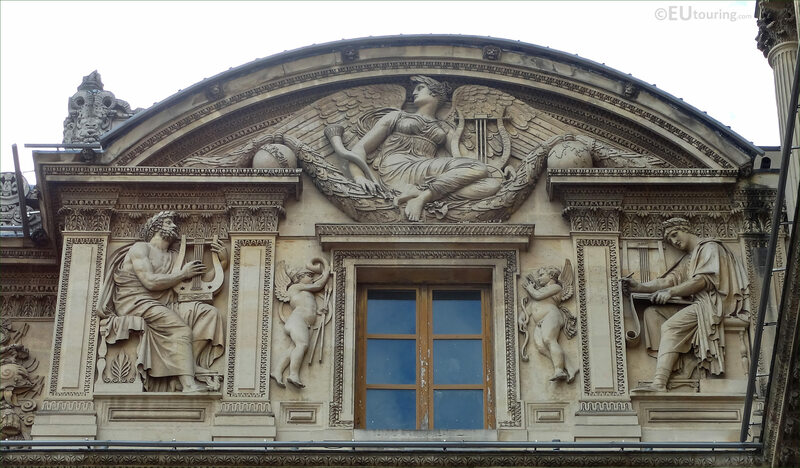 However, you can still admire the sculpture of Amour, Cupid God of Love on the Aile Lemercier, which is positioned on the third level of this facade, to the right hand side of the window below the pediment, which is the far right hand side of the wing that can be seen from the courtyard of The Louvre called the Cour Carree.